C-Suite Resources chairman and co-founder, Don Wegmiller, has an expansive healthcare industry resume that spans 35 years. Wegmiller developed and served as CEO of the Allina Health System for 15 years, one of the Upper Midwest’s largest integrated systems. He went on to serve as CEO and later Chairman of INTEGRATED Healthcare Strategies, the nation’s largest healthcare executive compensation consulting firm. He has served as Chairman of the American Hospital Association, the organization’s highest elective office and has led many other healthcare organizations. 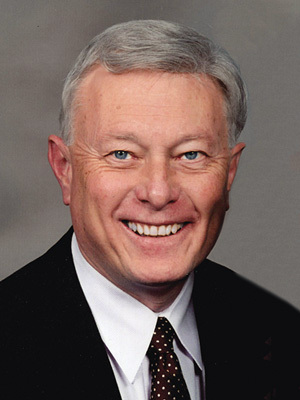 Wegmiller currently serves as Chairman of Scottsdale Institute, a healthcare information technology collaborative; holds policy positions in state and national healthcare associations, and has served on the boards of more than 20 publicly held corporations over the past 20 years. He currently serves on the boards of three public companies and two company advisory boards. Wegmiller has written and lectured extensively on healthcare topics and his work has been published in a variety of national healthcare publications. He teaches healthcare administration at the University of Minnesota, Duke University and Arizona State University. 2013 Healthcare Hall of Fame inductee, an elite group of only 90 healthcare leaders including Drs. Charles and William Mayo, founders of the Mayo Clinic, and Dr. Michael Debakey, noted heart surgeon. Wegmiller received both his bachelor’s degree and master’s degree from the University of Minnesota.